We have been working on some wonderful new additions to our Gallery. Our aim is to create quality, original beautiful timber furnishings made from ethically sourced timber . Proudly Australian made of course. It starts off with a slab of timber and becomes something quite beautiful. Its a different feel, the sunlight is lower, the weather is cooler and the days are somewhat shorter. 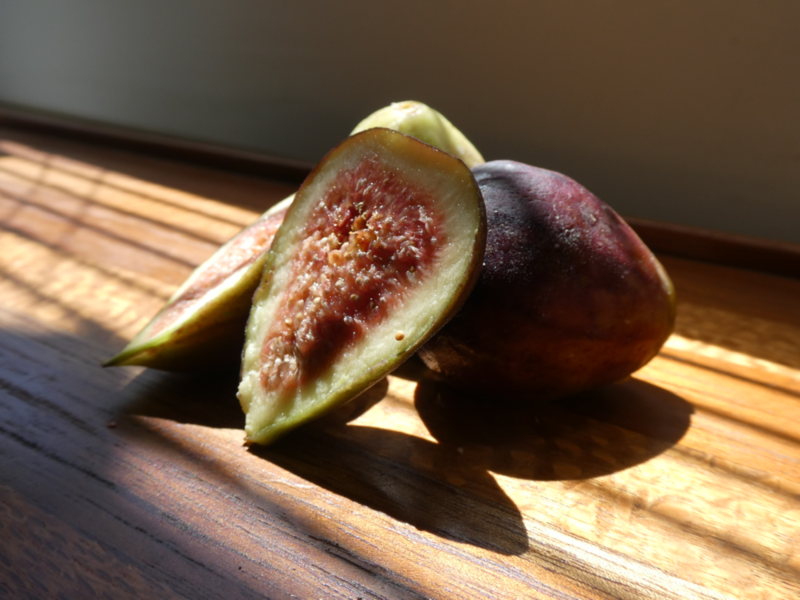 Its a perfect time for morning walks and sunset strolls discovering a brand new season. 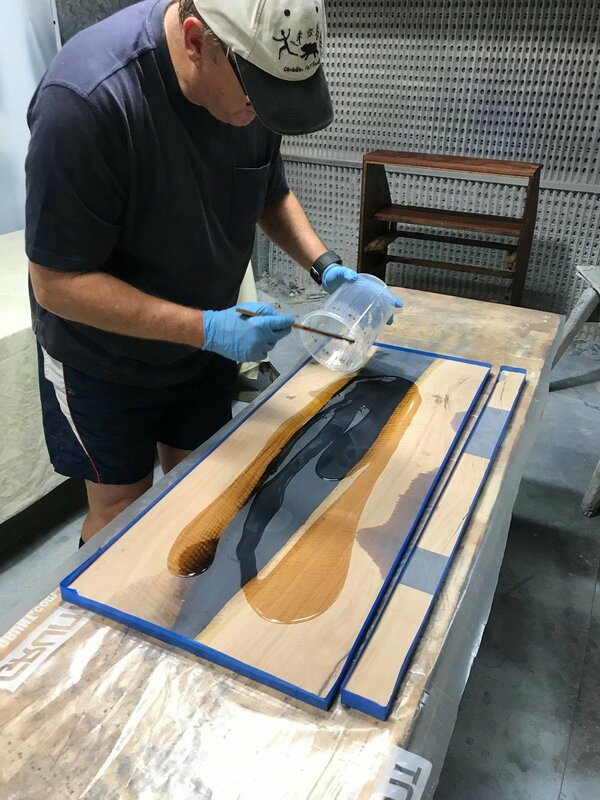 Silky Oak is a wonderful traditonal timber, popular in use for its rich mellow grain and durability for furniture making which is most likely why it was so prevalent for manufacturing in the early 1900’s and beyond. When refurbishing this large bar area, Silky Oak was a natural choice the goal was to keep the traditional decor and enhancing the heritage features of the area. With the inclusions of new pelmets, panelling, skirting and door panelling we enhanced the design asthetic providing detail and character to the existing area. It doesnt take much to rejuevenate a room, adding new upholstery injecting some colour , will bring new life into a space, giving it new life and new energy. 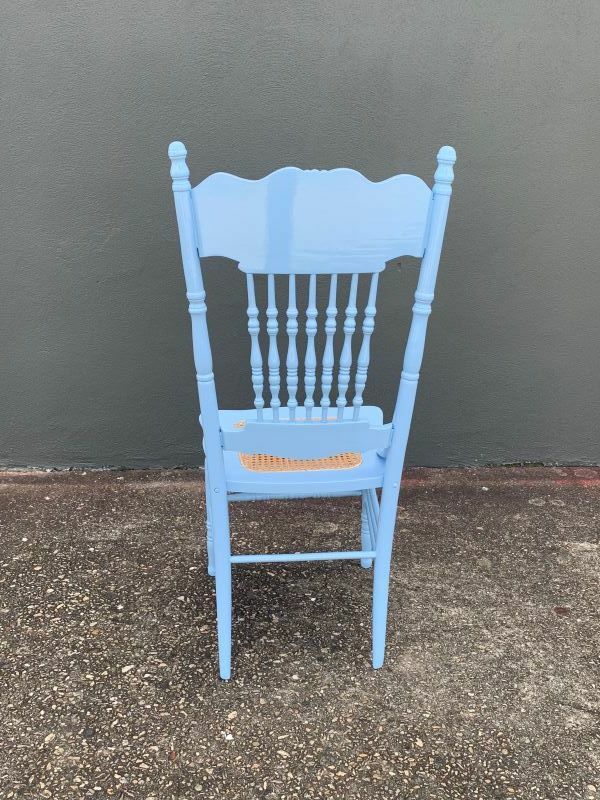 By recolouring these quaint chairs, a whole new world of decorating opportunities open up. 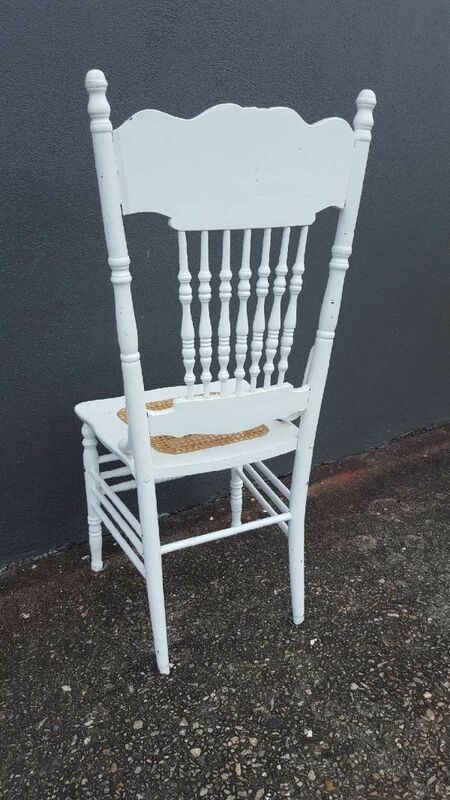 We used Dulux Northen Sky in 2 pack for these family heirloom chairs. the use of 2 pack is a personal choice, but we used it in this intstance to provide sheen and longevity . 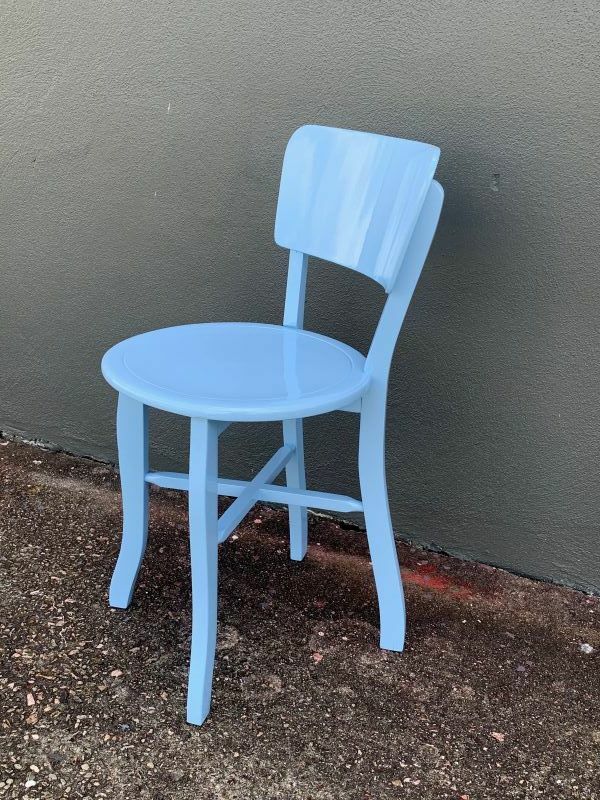 A fabulous fun result for these chairs ! 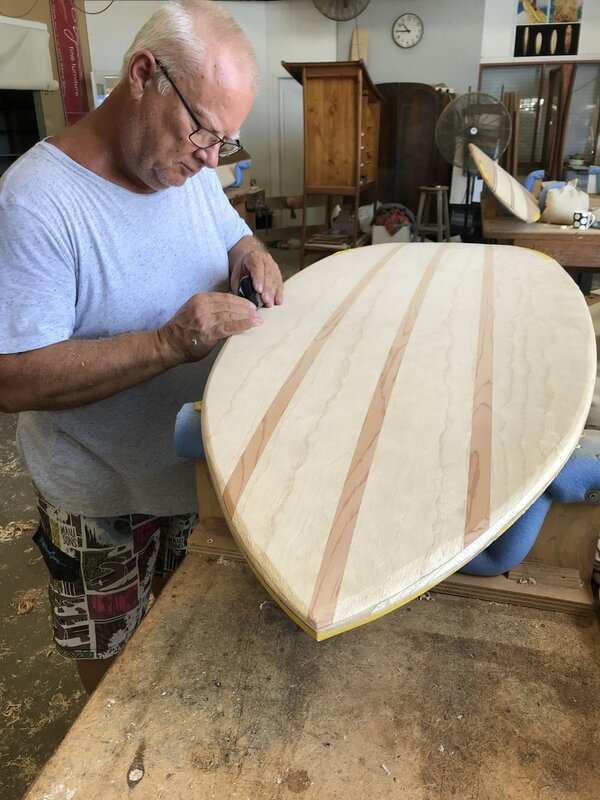 Our woodworking students always give us great joy when it comes to their dedication and persistence. Bill , a Monday night student has worked tirelessly over the last few months working on a beautiful coffee table for a wonderful surprise birthday present for his wife. Made from Melaleuca , which is part of the Myrtle tree family this elegant table uses resin as a centre feature to highlight the wonderful warm patina of the grain . Finished off with light coats of lacquer, this gift made from the heart is one we are sure will be a treasured heirloom for many years to come. Congratulations to Bill on such a wonderful achievement. 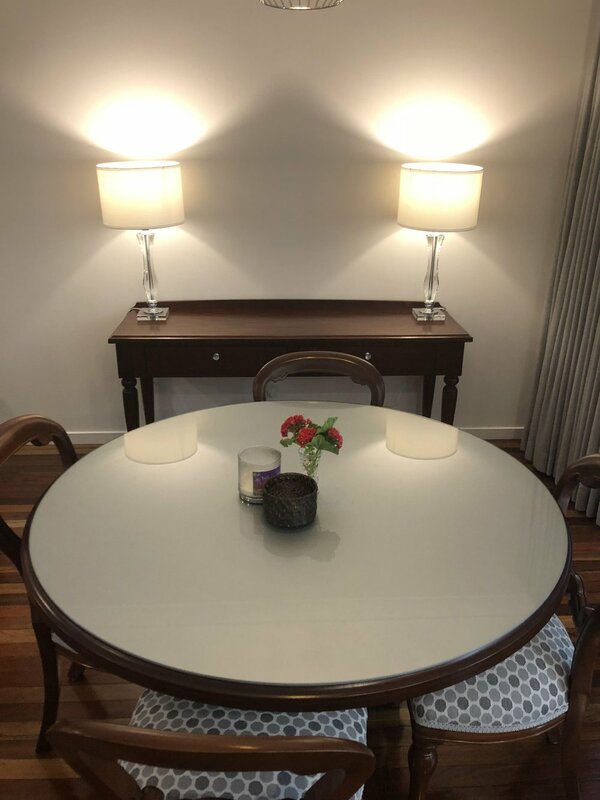 Using Silver Ash for a base and featuring Laminex in contemporary shades, these coffee tables are the perfect addition to this beautifully appointed Brisbane home. Using Laminex in Cosmic Grey and Alto these tables provide an avant garde atmospbere to this wonderful lounge room. Autumn, you have been a long time coming. You are officially here but your’e not. The days are still hot and the nights humid. 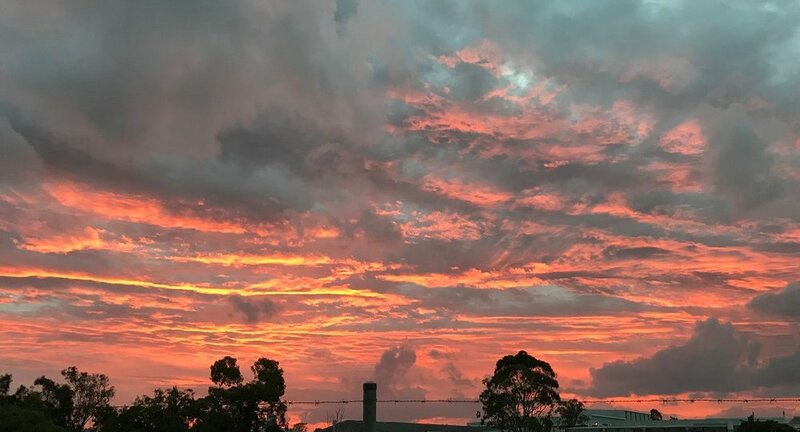 Good days are coming, Autumn in Brisbane really shines ! Its all about the subtle nuances , the slight drop in temperature , shadows cast early in the day. With lots of special pieces, where the emphasis is on innovative design and excellence in craftmanship. We take so much joy in the process of restoration. To turn something broken, old, and in dire need of some TLC into something beautiful and serviceable once again is a joy and a privilege for us. Fresh out of the workshop last week was this gorgeous old chiffonier ; in need of a makeover. 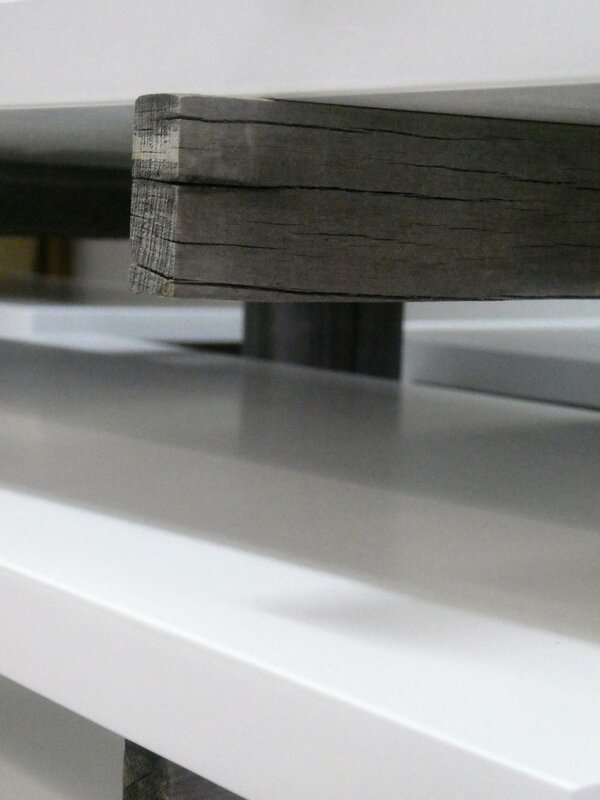 We removed the old finish, repaired the veneers and the drawers and other areas that needed some adjustments. We then sanded and polished and colour matched to blend in with the clients existing decor. Beautiful once again , restored chiffonier. Restored to its former glory, the restoration process has given new life into this wonderful piece. Repolished to bring it back to its original glory. 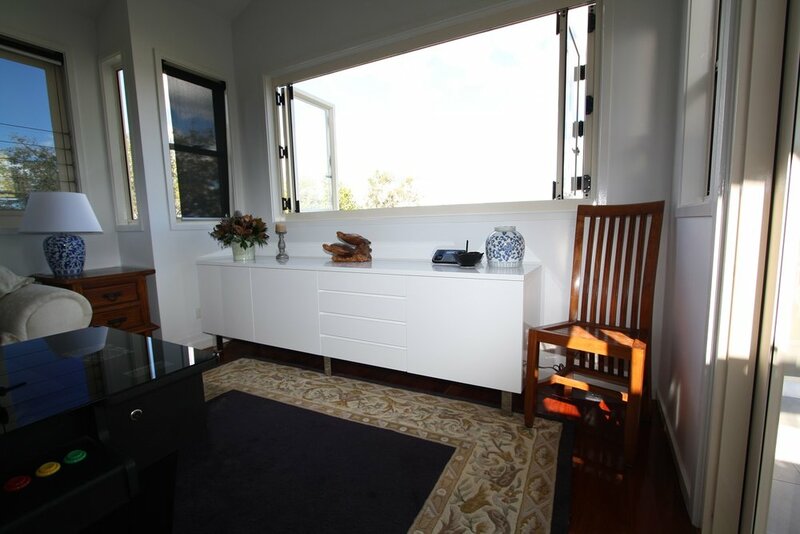 Recently installed, this elegant Qld Maple Display Cabinet, is just perfect for apartment living. 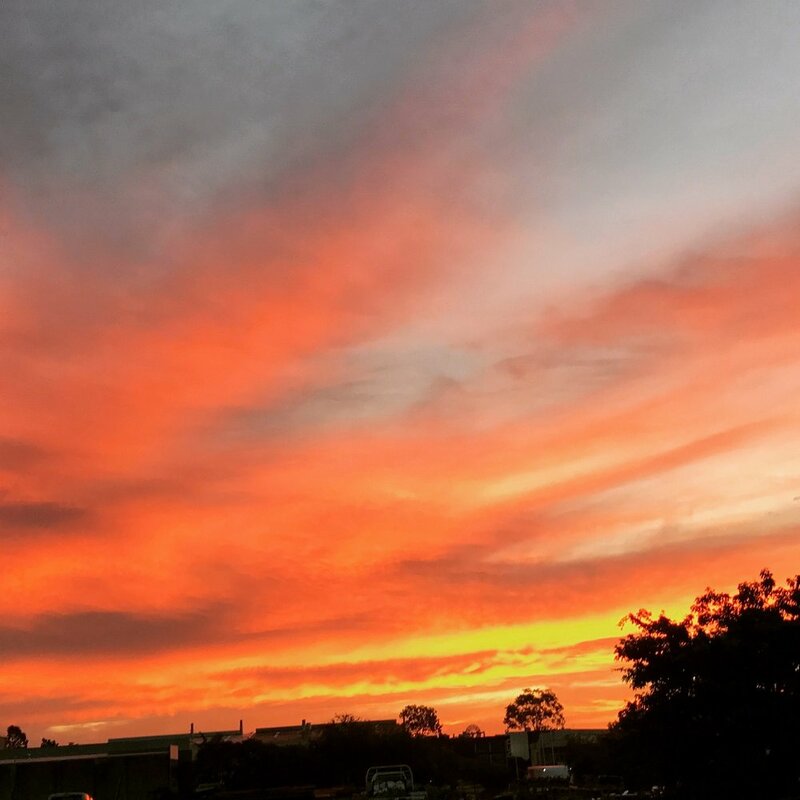 Some days all the elements are just perfect for a picturesque end to the day. Colour filled , dramatic sunsets are a wonderful conclusion and a nice little reminder, to stop take a breath and just be for a while. Despite it being the beginning of Autumn, Mother Nature decided to put on a last hooray of perfectly warm sunshine days for our first board class for the year. 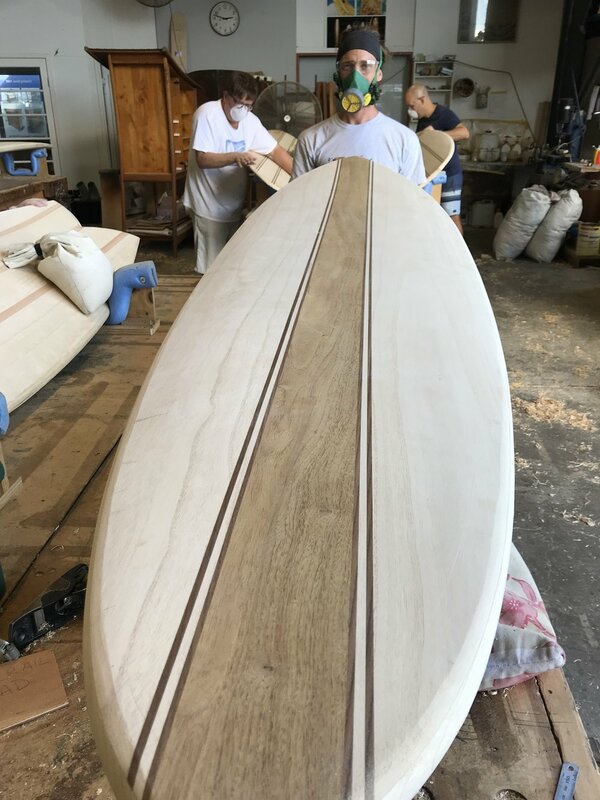 Our enthusiastic students came from Sydney and Brisbane Surrounds, to learn the noble art of surfboard making and shaping… and what a fine job they did. And at the end of the four days, our amazing students produced some awesome boards. You just cant wipe the smile off their faces, such a great feeling of accomplishment! Such a great achievement , stunning looking boards ! With its reddish brown hue that enriches over time, Mahogany Timber is the ideal choice for dining room furniture. Its warm tones heighten the design aesthetic and impart a warmth and and ambience that only timber can supply. The side table we recently custom made is a wonderful example of this. 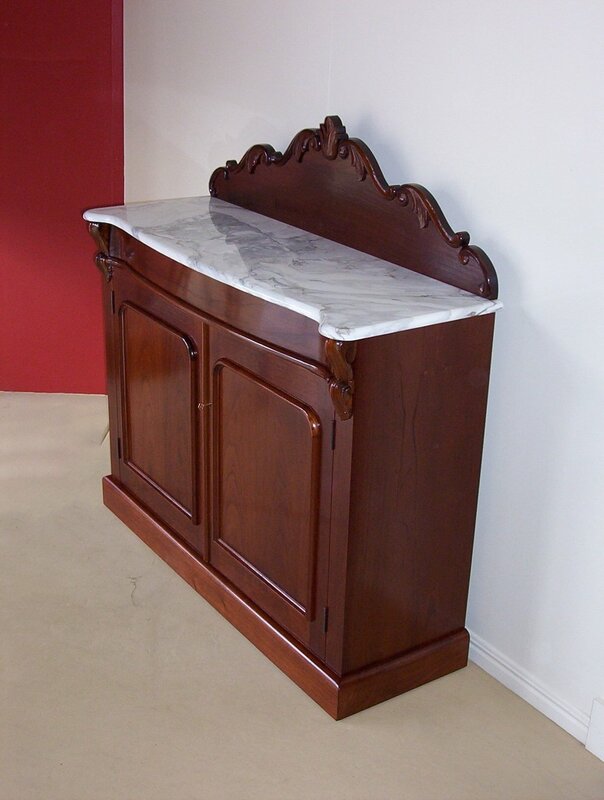 The sideboard or buffet or chiffonier is an integral part of the family home. 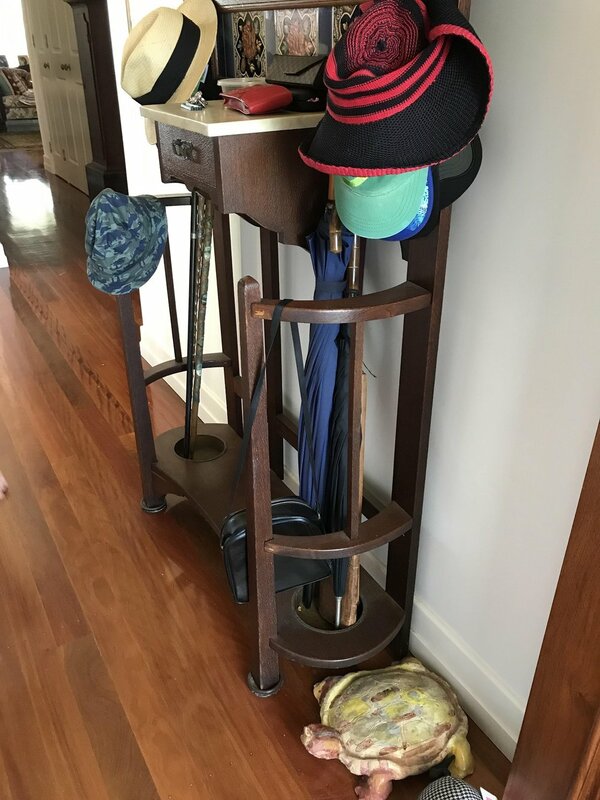 Its a place to store our beautiful crockery, silverware, glasses and all the other wonderful pieces we accrue and keep “for good” or theoretically use more often , to make every day special. It is a really a happy storage unit, as it ideally contains all the things we hold dear and with which we use to celebrate special occasions . The design , look feel and timber choice of the sideboard is such a personal decision. 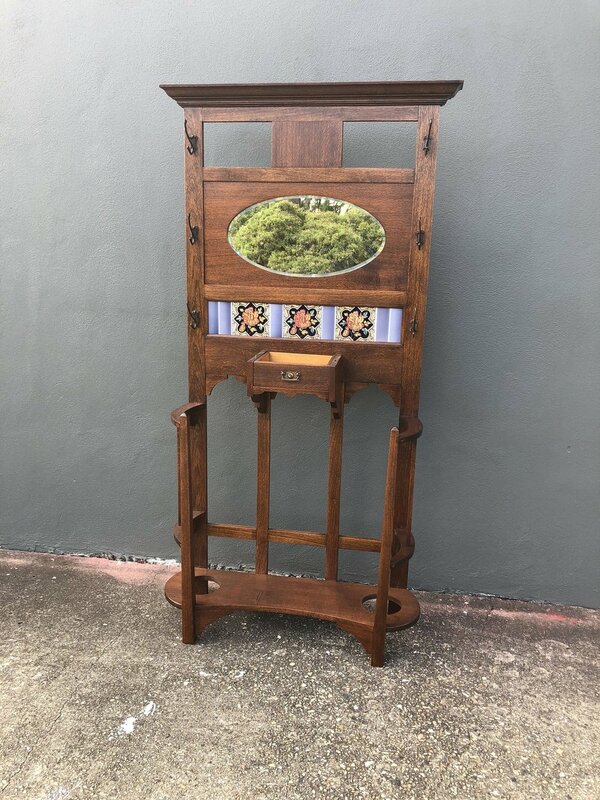 brings all the elements of a heirloom piece of furniture together. A modern twist on sideboard living. Beautiful clean lines with a crisp white finish. Using the richness of Jarrah this sideboard featuring ample storage is a wonderful addition to this dining room . 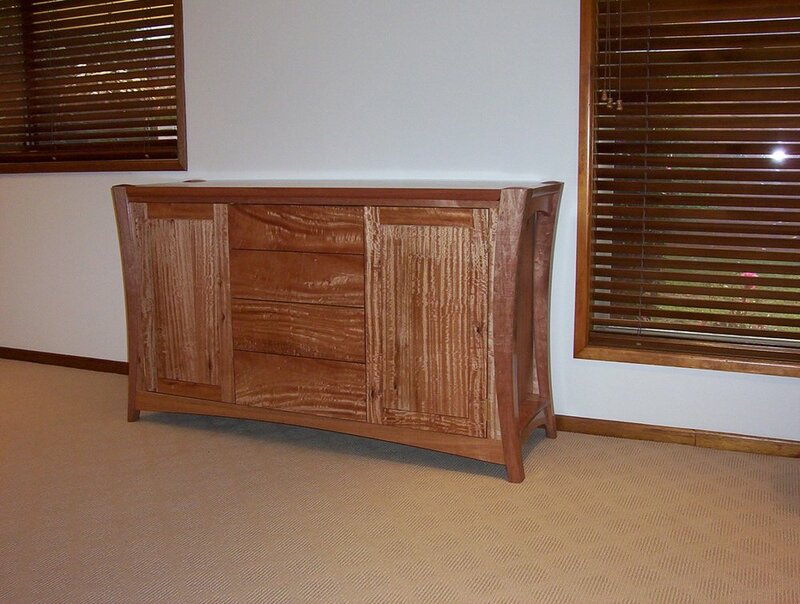 What a grant statement this restored red cedar chiffonier makes. With an impressive marble top this show pony certainly has the wow factor. 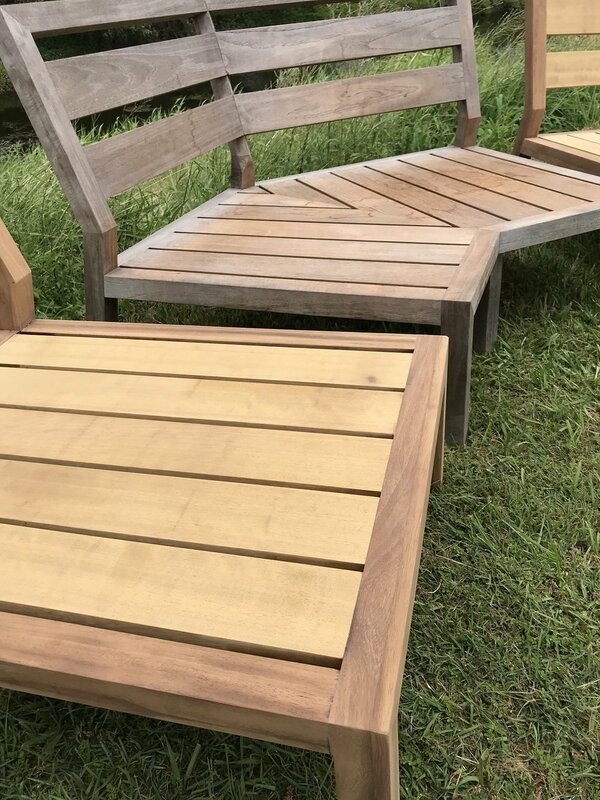 Matching existing pieces we made 6 years ago, these African Teak outdoor chairs are made to last. 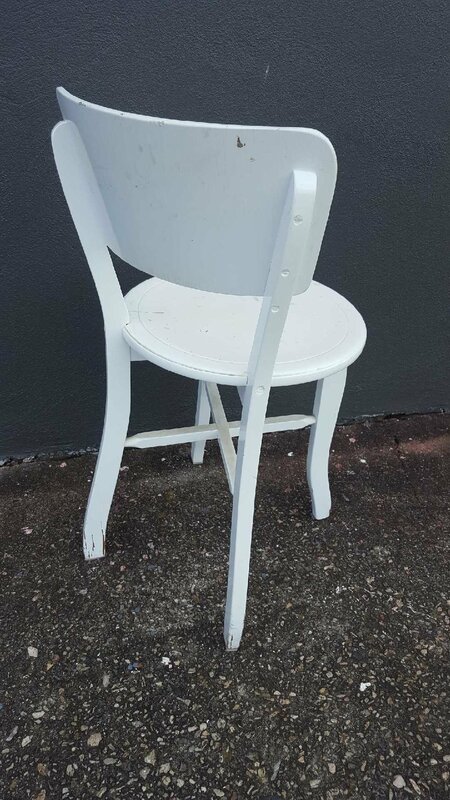 Dining chairs have a tough gig, over the years they are put through constant stress and strain. Used several times a day, they are certainly put through their paces. 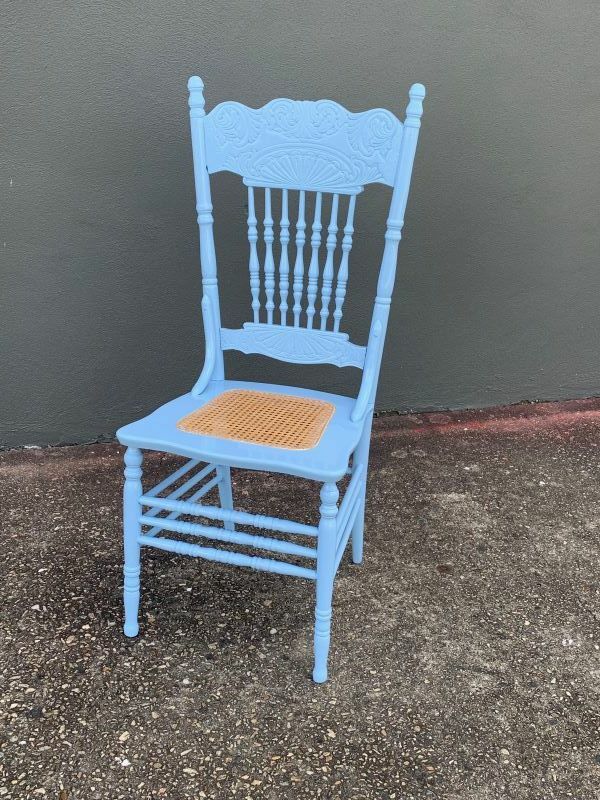 A chair has to be strong to be able to carry various weights, and it has to be comfortable to make the owner want to sit in it with ease for hours. With these aspects in mind, we design and make our dining chairs for durability, for beauty and for comfort. 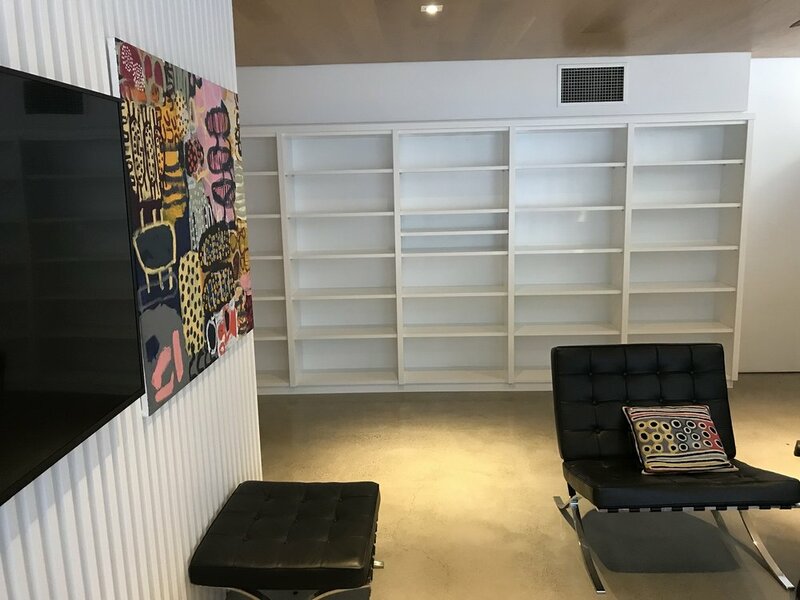 Being avid readers, we know all too well the problem of finding a suitable home for all the books we have collected over the years and do not want to part with. It is a wonderful thing to pass them on to someone else to read #payitforward but there are numerous times and occasions when you do not want to part with them. Art books for instance , often heavy and large are a must have for reference and to keep going back to time and again, coffee table books - for when the collection becomes too high to keep on the coffee table and of course well worn much loved fiction books that hold sentimental value. Our client came to us with this conundrum , so many wonderful books but nowhere to store them and to reflect back on them when needed. 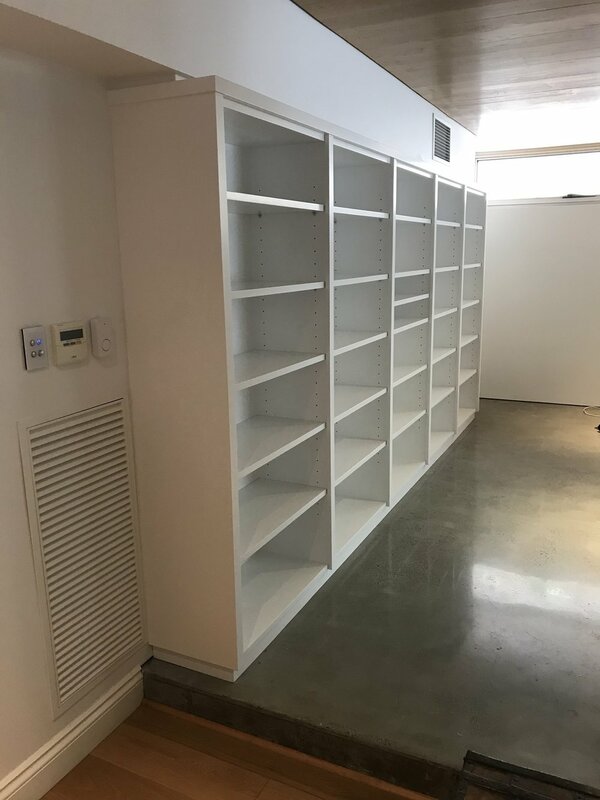 We designed this clean, streamlined bookcase to house such important items. Custom made to encapsulate the assorted heights and weights of different books. A room without books is like a body without soul. 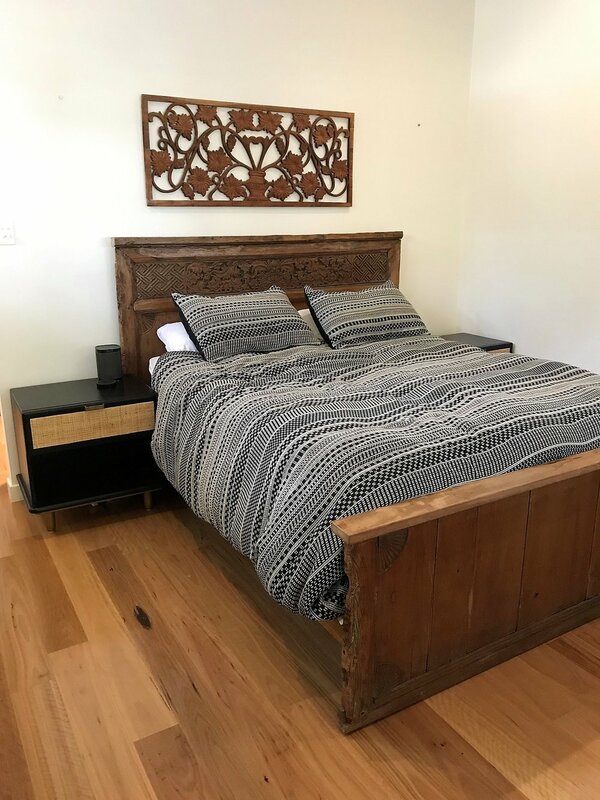 Wanting to make use of an old Teak Malaysian Wall panel,our clients were keen for us to make a new bed out of this 300 year old beautiful panel. A wonderful way to upcyle, and re use a piece of history, we made a new bed head and footer.